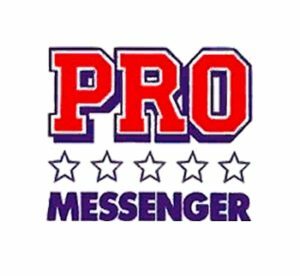 Pro Messenger – Founded in Texas more than 30 years ago by Jim Ellis and Superbowl Quarterback legend ‘Terry Bradshaw’.The good friends and successful business partners started the courier / messenger service way back in 1986. Same day courier messenger available in Dallas, Fort Worth Texas and Metroplex. All other destinations can be arranged. Large range of service options to suit your time and budget including economy 4 hour, regular 2-3 hour, Rush 1-2 hour and cost effective overnight. Rates and services are available at the website. Excellent because not all companies will show their rates to the public. Rates start at just $6. Got to love the great looking website too with the red and blue color and stars with some glimpses of old Superbowl photos.